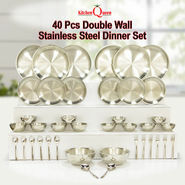 The most generic need of every household is a complete Dinnerware Set. With them even a regular and normal dining will turn into a memorable one. 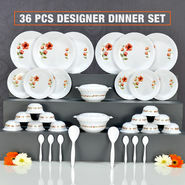 As they cost within the reach of common people, so the luxurious living is possible with the delightful dinnerware collection. 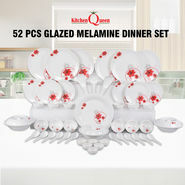 The durable and best materials are basically used to craft the dinnerware sets so that they can give you a long run accompany. Amongst the horde of fine looking dining sets, there are porcelain and bone china sets designed for giving an elegant touch to every dining table. 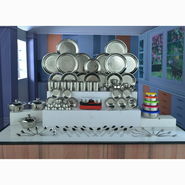 Their classic designs are meant to give you full fledge satisfaction while serving foods. And it also brings out a different flavor and essence from the food. The specialty of the high end dining sets is that they liven up the dining ambience and thus elevate our dining experience. From theme parties to the small get-togethers. 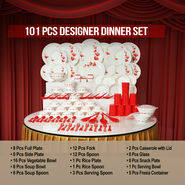 Dinnerware Sets talks and shows the taste of the host. 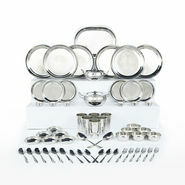 You just cannot do the proper dining arrangements without these accessories. 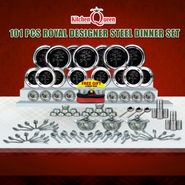 These dining sets also reflect the type of occasion that you are celebrating. 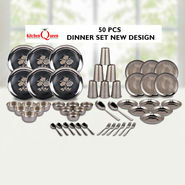 Your boss won't be impressed with your regular stainless steel dining set whereas your friends will appreciate the platters and glasses with funky designs and prints. 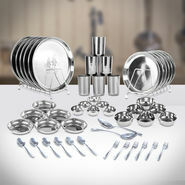 Wooden dinner sets are considered to be purely sophisticated. 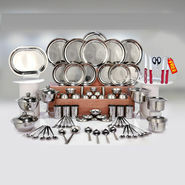 In fact, they are never out of the trend, Baking dishes, saucers, glass jars, butter plates, salad dishes, ceramic mugs, soup or cereal bowls, bread plates, cups, cookie jar, etc. are the dining essentials. 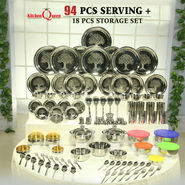 These items are available with aesthetic designs, various shades and shapes to enhance your dining table arrangements. Today's home decor conscious people can gleefully bring these items home because of their appealing and exclusive looks. And if you know your necessities, then you can always choose the appropriate one even with a single glimpse!